In a corner of Beckton in east London, a patch of land has been providing a space for people to play sport for decades. The pitch that was being used, however, was in desperate need of updating. 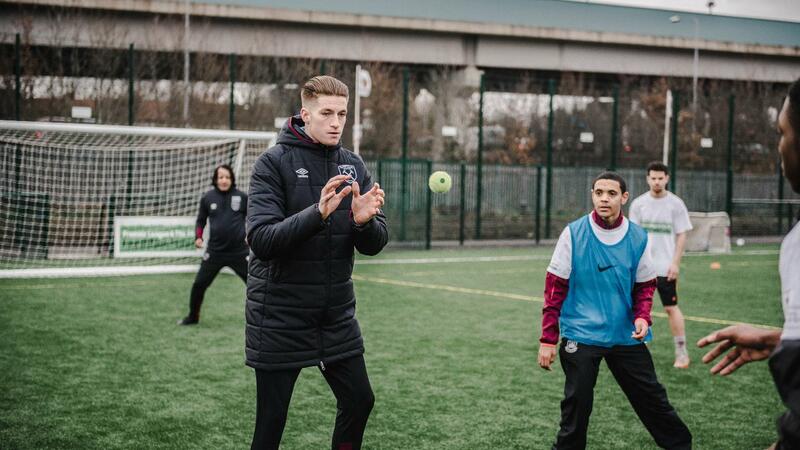 "I am a local lad, I only live down the road and when I was growing up, this was a place to come and have a kickabout," says West Ham United defender Reece Burke. "It was a sandy pitch and it wasn't the best for whoever was playing on it." That sand-based pitch is no longer there as the site has been transformed with the help of a £436,397 grant from the Premier League & The FA Facilities Fund, which is delivered by the Football Foundation. The funding has enabled the building of a floodlit, all-weather 3G pitch, which will be used all year round by the West Ham United Foundation to deliver a wide variety of programmes to benefit the whole community. "Compared to what it was and what it is now has been a massive change," says Burke. "Everyone's going to want to come down and have a go on it. I wish I trained on a pitch like this when I was younger." 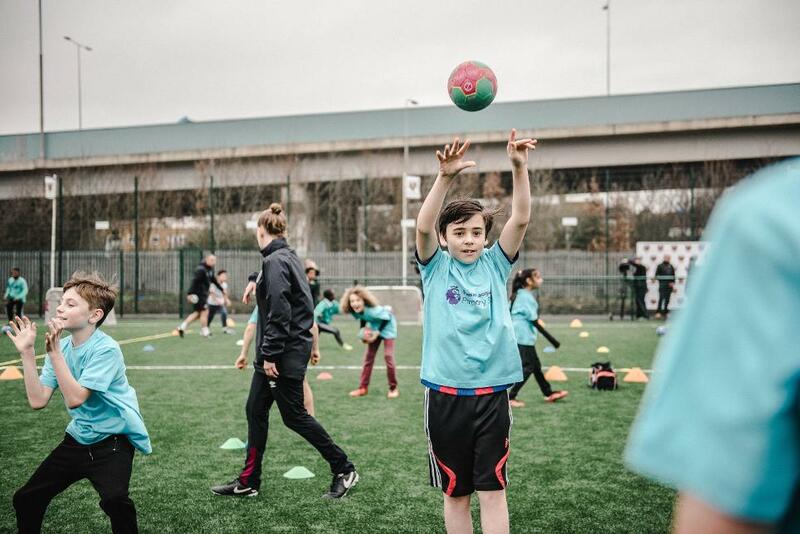 The pitch is located at the West Ham Foundation's offices and will be used to deliver Premier League Primary Stars, Premier League Kicks and inclusive disability sport. The venue will also be used by West Ham Ladies and the walking football team, whose oldest player is 84 years old. "It's a really good moment for us," says Foundation chief executive Joseph Lyons. "We have been working on this project since 2013 to try to establish a fantastic facility here. "We have over 40 programmes, ranging from health programmes, working with Friends of the Elderly, to employability programmes; our inclusion approach is saying that anybody can access this facility. "It's a springboard to get people engaged but then take them on whatever journey is appropriate for them." 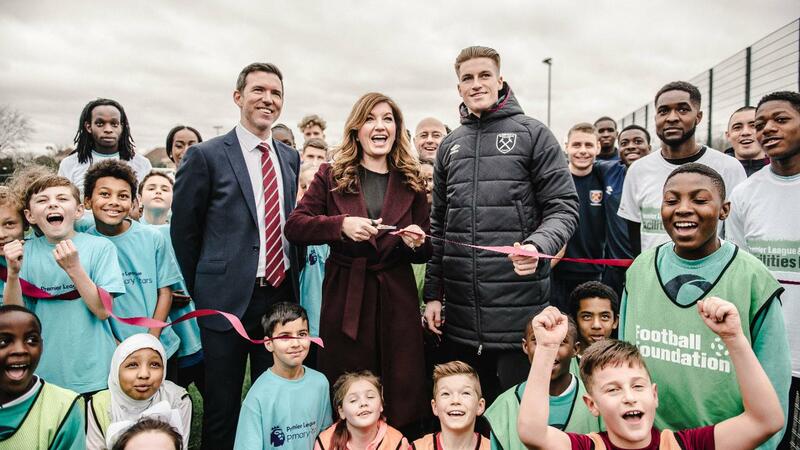 West Ham United vice-chairman Karren Brady CBE officially opened the new facility, saying it will make a significant difference to the local community. "The Foundation is a catalyst for all of the things that we do as a community," she says. "Over 1200 people come through this facility every week. "It's enormously important to local people and adding this 3G pitch makes it more accessible, more usable and more people can come through the system."